Cary Public Adjuster NC - Get your NC property damage claim paid now! A local Cary Public Adjuster can be a real help to Cary property owners with an NC property damage claim. Each area is different and knowing about your specific North Carolina area can be real helpful. Sure, you can call some of the big national Public Adjusters, but they’ll fly someone in from out of town that knows nothing about Cary NC. American Property Loss Cary Public Adjuster NC – We’re here, we’re local and we know North Carolina Public Adjusting. Thankfully, Cary NC doesn’t normally see the hurricane damage that coastal NC areas do. That’s not to say it doesn’t happen. We’ve had some hurricane damage throughout Central NC in the past. Hurricane Fran in 1996 was fairly hard on areas from Charlotte in the west and east to the coast and brought a whole new level of hurricane damage awareness to central NC. Hurricane Fran caused a huge number of Cary property damage claims. Most recently, Hurricane Irene in 2011 brought wind damage to the Cary NC area. 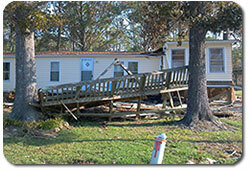 Though, hurricane damage isn’t usually the most frequent cause of NC property damage claims in Cary NC. Cary property damage is more often fire damage, wind damage, and water damage. Unfortunately, home fires and high winds can strike anywhere. Wherever you live or whatever your Cary property damage may be, our clients really benefit by having a good local NC Public Adjuster that knows the Cary area. When disaster strikes, our local Cary Public Adjuster is there for you. Our primary local Cary Public Adjuster has a full background in construction and actually is a currently licensed NC General Contractor. If there’s anything to be known about a house, commercial property or general structure, our local Cary Public Adjuster knows it – he’s built them all before. Our local Public Adjuster knows prices in the area, local building codes, general building quality and understands your expectations. From being able to accurately estimate your property damage claim on a complete loss from house fire damage to being able to estimate water damage from a washing machine gone haywire, our local Cary Public Adjuster knows the things to include in your property damage claim. Having a seasoned local Cary Public Adjuster as a resource to give you adequate information can maximize your Cary property damage claim. We’re not talking about getting more money than your claim is actually worth. People sometimes don’t understand what a Public Adjuster actually does. After your insurance company sends out an insurance claim adjuster to review your damage, they will give you an estimate based on their knowledge of replacement costs and total damage amount. Sometimes this can be lower than what you may expect. That’s usually when a Public Adjuster is called. A licensed NC Cary Public Adjuster will review the original estimate, and usually then go back and find a whole lot more. Our Cary Public Adjusters center on finding all the property damage and property loss, carefully document it and then send that to the insurance company. When there is accurate documentation spelling out exactly what the damages are and why they should be paid, the insurance company is far more likely to just go ahead and pay the claim. And if they don’t, you have your Cary NC Public Adjuster there to handle all the phone calls, negotiations and headaches. Why is the insurance company claim adjuster’s estimate lower? In a perfect world, the Cary NC property damage claim estimate wouldn’t be. Far too often, the insurance company’s claims adjuster can be responsible for a heavy workload and honestly just miss things. When it all washes out, those items can be the difference between rebuilding properly or having to skimp. Our local Cary Public Adjusters work to ensure that we find all the items and it’s properly submitted in your NC property damage claim. Why call a local Cary Public Adjuster? An insurance company’s adjuster’s income is received from your insurance company, so the assigned claim adjuster doesn’t have any particular encouragement to do a whole lot of digging into your claim. Because a Cary Public Adjuster works for you, and receives compensation based on the amount of the property damage claim, it’s in our best interest to find every little thing that we can! This often makes a huge difference between what is offered by the insurance company and what our NC Public Adjusters will find in your Cary property damage claim. Will it be a “wash” by the time I pay the Cary Public Adjuster? No, that’s not our expectation. Our Cary Public Adjusters can meet with you and do a quick preliminary examination of your property damage. They will have a real good idea of what the property damage claim value will be pretty quickly. And honestly, if it looks like it will be a wash, we’ll tell you. It’s not our goal to inject ourselves into your Cary property damage claim and get you the same money that your insurance company is already offering you. That’s not our style. There are a lot of fire loss property damage claims, wind damage claims, water damage claims and flat out denied property damage claims that really need the skills of our Cary Public Adjuster NC services. We’ll tell you if your property damage claim is going to be a wash – and then you can decide where to go from there – you may still want us to handle it to just spare you the aggravation. We pride ourselves on working with customers as they really are – like our neighbors and friends. The NC Public Adjuster says it looks like it might be a “wash”, can you still handle it for me? If our Cary Public Adjuster tells you it’s going to be a wash, but you would rather have us haggle it out with the insurance company and keep you out of the process, we’ll be glad to do that for you. Getting Cary property damage claims settled can be a time-consuming process at best. At worst, it can be a real hair-pulling experience. We will be glad to handle that for you if you’d like. There will be a difference between what our Cary Public Adjuster will find versus what your insurance company claim adjuster will find. We guarantee it. This difference can be large at times. That difference can be the primary factor in getting your life back to normal or never quite recovering. If, for any reason, we don’t think that using our Cary Public Adjuster services will actually benefit you, we will tell you.